Research suggests that buying a used car would save you a lot of money. Better yet running a car for longer years could save you even more money. 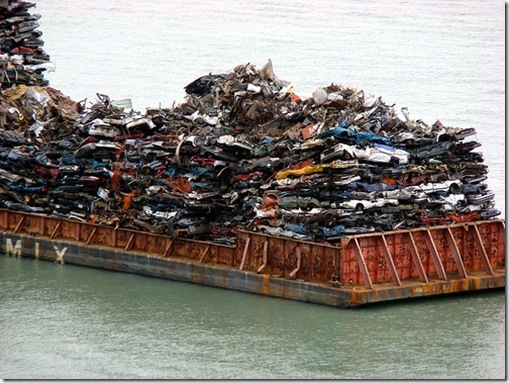 When it comes to cars before we can start a discussion on used vs new something else comes up. What about the roads? Where is the parking space? It is only natural. I have to bring a quote of Sidhu to your attention which almost answers all your questions. That is the universal Indian truth. Now that we got that important thing out of our way, let us shift our focus to the discussion on hand. If you are planning to buy a car which one would you buy? Used or New? In the US there are website’s (Kelly blue book) which allow users to check for the going rate for let’s say a 1999 Honda Civic. This will give a good bargaining power for both the buyer and the seller. The same kind is not available in India. This gives way to information asymmetry. Which gives the seller an unfair advantage and the buyer a disadvantage. Other important thing to look for is the mileage tampering. Called as lemon check – if someone is willing to spend $25Â he/she can get a complete record of the car’s mileage recordings at various times between owners and possible accident history too. Indian car market lacks this information. The nascent Indian market along with a lack of centralized database makes it difficult to buy a used car in India. Now to the the other side of the coin. Maruti Suzuki already offers Maruti certified used car at its outlets. These cars typically come with a 1 year guarantee and other goodies not easily available from the unregulated market. Tata Motors has launched its pre-owned car business. It will be offering cars with one year warranty, 3 free services. The cars will be less than 5 year old and accident free. To add another twist to the story, every 5 minutes a car is posted for sale on Sulekha.com. The average holding of the car by a single owner came down from 8 years to 4 years. People are changing cars more frequently. Thanks to the launch of new models every other month. An average of 3500 used cars are sold on sulekha every month. I have presented the two sides of the story. I still stick to my version one that you have to get extremely lucky to find a good used car. Couple of years back I started my search for a used car and looked around. I couldn’t find a good car or I haven’t looked hard enough and bought a Swift instead. That is my story. What is your used car story? PS : I have used the term ‘used car’ throughout. The more politically correct term is pre-owned. I can’t always be politically correct. Sir, it is true that business of used cars in India is quite high but seeing at the competition of the Indian Market the dealers who are non qualified and those who have no proper documentation to run the business these people sell the car at a very lowest price so that the customer gets attract to them in India and buy the cars from them which creates a risk factor to the customer, as i think the customer before buying or selling of his used cars he must go through the Company’ s Bio-data as most of the dealer are having their own website so that there is no risk for the customer before buying or selling his own vehicle so that the dealer will prepare a proper documentation so that the customer can relax at his place.. as far i think before buying a second hand car the customer must think that at last he is purchasing a second hand car not a new car, but the dealer try his level best try to satiafy the customer. But at last the customer is must for us, we dealer have to keep this in mind and give a good reaponse to the customer so that he is satisfy with your Service that is the must. Indian Blue Book is an unbiased resource for consumers to determine the market value of their cars, i.e what’s their current car worth? what should they pay for a used car? It is the only guide based on real transactions and with a superior proprietary analytics engine. It is updated every two weeks to reflect close to real time used car prices and to account for any shifts in the macro environment. Whats more… IBB is subscribed by all the major car portals in India like Cardekho, Gaadi, Zigwheels etc. Eider Motorcycles is the new empowered and enriching company by its strategic business policy. The company is moving ahead in the path of progress by the acumen of the founders and hundreds of young progressive teams support. The company proved its brand success with time and time again, as being hardworking and dependable. company is offering high quality motors with small economy to meet the growing demand in the market. The company produces and introduces high performance electric motorcycles using the most modern machineries and state of the art infrastructure. Every year, Eider Motors improves in their lines by adding much advancement in styling and safe drivability. Eider motors have become one of the largest automobile manufacturers in India. Each motorcycle is optimized from the ground up to leverage the revolutionary electric power train and uses a specially designed rigid, aircraft-grade aluminum frame to minimize weight and maximize fun in riding. Eider motors covered over an area of about 80,000 sq. foot in Hyderabad, Telangana State. The company operates over 65 consistent dealers’ national wide. The Research and Development Team of Eider Motors started operations in developing variants of Petrol, Gas, Electric and Diesel bikes. To work in an intensified market with enhancing activities which are aimed to promote our motocycle usage widespread emphasizing on the rider’s style, passion, entertainment, sports and recreational aspects. To encourage and support the establishment and growth of light and medium scale enterprises locally producing motorcycle parts and components in line with government objectives. To make motorcycling enjoyable and safer for the riders. To provide high quality motorcycles that give value to our customers. To build trust in the market and customers and serve the market with superior values to all our stakeholders. To deliver premium products with a promise to fulfill the customer lifetime ownership. We demonstrate the commitment to our responsibility and service with quality in everything we do. Our vision is to be on top of the motorcycle manufacturing companies and produce the best quality motorcycles to our customers. To accomplish dreams inspired by many motorcycle riders by giving the best experience to the customers. We ignite the passion for freedom in the riders and create their own identity. MORE SCOPE IN THIS BUSINESS BUT ORGNISED WAY IT POSSIBLE. Have you ever wondered the future of used car market is in your hands , you are setting up a circle of procedures to do with used car selling trends in india all over , what you do , how you sell , the style you use , the procedures you take , the way you advertise , some one some where will copy you , so why not set very high standards , start with a good product , check all documants , give it a new lease of life , rectify even the tiniest fault , vallet very well , make it look tge best car in town , ? give particular attn to serv your client / customer , win his , her confidence , promote professionalism in the trade , the long term goal must be in your mind , where you sell one car , pottential must be built for more , promote decency in the eyes of the consumer . The used car market is still very unorganised in our India / clearly the time has arrived , the Govt must assist the Trader of used cars to comply with the norms , there has to be an audit trailed history and documentation available / at present there are too many forms . too many formalities , some are defeated before a start up procedure , what is the point of raising duplication of NOC,s after Noc,s , and notifications , ever five minutes / Point being , put in place one set of rules and a legal compliance right all along the states to comply . The motor trade , New cars , used cars is an economy driver , lets promote how it may be refined , The Govt dept must have a bench mark registration criteria for traders register , The compliance will start from this point ? The used car market in India has been experiencing rapid growth. Also the cost is affordable in India. I have a Santro Zip Drive silver color car for sale. car is in good condition. four new tyres fully serviced..
in a COUNTRY WHERE THE AUTOMOBILE INDUSTRY HAS STARTED TO SHOW ITS COLOURS OF FRUITION , IT IS BECOMING MORE EVIDENT , IT MUST BE REGULATED , NOT ONLY IT SHOULD , BUT MUST , THE END USER NEEDS A CLEAR INDICATION OF WHAT HISTORY LIES BEHIND A PRE OWNED CAR THAT HE WISHES TO BUY . THE BUYER NEEDS TO CONSULT QUALIFIED PERSON . AND NOT HIS MECHANIC IN SHODDY CLOTHING . A WELL INFORMED AGENT OR AGENCY . THIS IS A MUST . REGULATORY FROM THE GOVT DEPT MUST ENHANCE THE ABILITY FOR THE MAN ON THE STREET TO BE ABLE TO MAKE A DEAL , ANY ONE CAN CERTIFY BUT GOOD DEAL REMAINS TO BE SEEN YET ON INDIAN HIGH CLASS PRE OWNED CAR DEALERS ? THERE IS A LOT HIDDEN FACTS / THEY MUST BE DECLARED BY THE SELLER . A GOOD MECHANICAL INSPECTION NEEDS TO BE INTRODUCED / THE SELLER CAN CONTRIBUTE TO CARRY THIS OUT AND SUBMIT TO POTENTIAL BUYER CONFIDENTLY / THIS REPORT WILL BE ADEAL MAKER . A DEAL THAT SUITS THE SELLER AND BUYER . MORE TO SAY BUT LONG STORY , THYE WRITER IS AN AUTOMOBILE ENGINEER IN LONDON , INVOLVED IN SELLING OF PRE OWNED CARS FOR THE LAST 35 YRS . HE SPECIALISES IN THIS SUBJECT , YOUR ENQUIRIES AND EXPERT ANS CAN BE DEALT WITH , EMAIL AND RECEIVE AN ANS WITHIN 24 HRS . DONT RUSH TO BUY THE FIRST CAR YOU SEE ? Maruti Suzuki’s concept of Maruti True Value outlets is certainly very revolutionary in India. their services world class and very consumer friendly. Finding a good used car is no longer an issue. I agree with Sriram that there is no organised system to check out background of pre-owned cars in India. hey but there are the certified used car outlets that provide you with all the necessary verification and also repairs using OEM spares. you could also get warranties and freebies, if lucky, by these used cars outlets. In England people drive on left. In India people drive on whatâ€™s left.